Home › News › Welcome to Japanese pavilion in IPB 2014, Shanghai, China. Welcome to Japanese pavilion in IPB 2014, Shanghai, China. (International Powder/Bulk Conference & Exhibition) which is held on October 14-16, 2014. 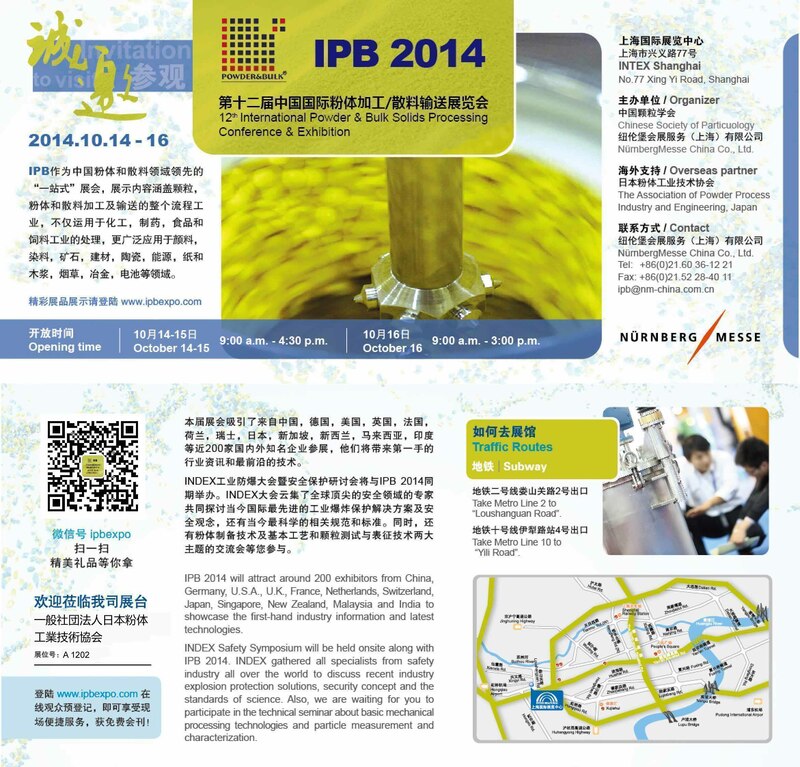 We wish you can come to IPB and visit our booth, booth number 1202. At the same time, we set up Japanese Pavilion where you can find the latest technology of Japanese companies. TOWA SEIDEN INDUSTTRIAL CO., LTD. Please click here to access Invitation Card. ‹ Profile of APPIE in English version(2014-2015) has been renewd.